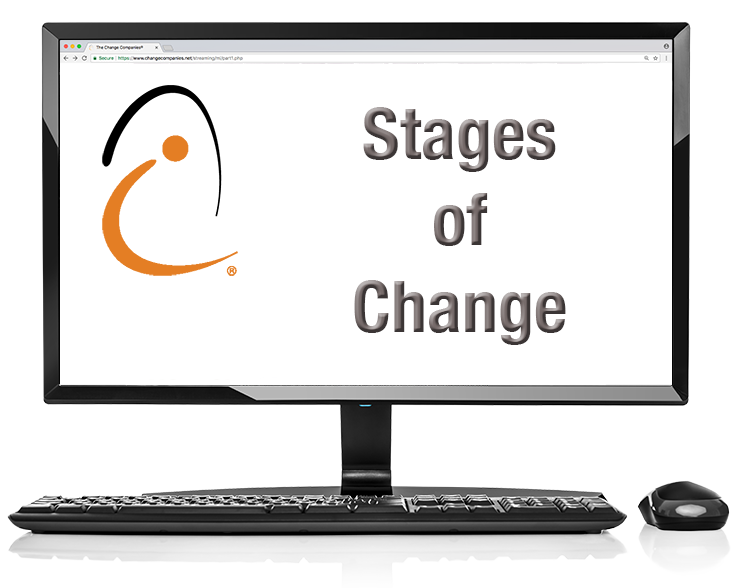 Learn online at your own pace with The Change Companies®' vast library of eTraining options. eTraining will help you and your organization cost-effectively train in a dynamic manner with training available 24/7. Use the Administrator Dashboard to track your staff's progress. 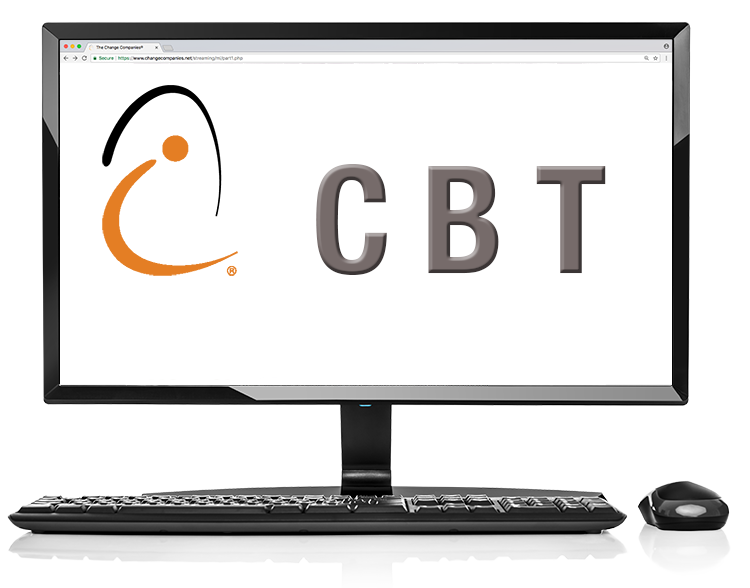 All of our eTrainings are approved for CEUs from a number of organizations, including NBCC and NAADAC. Choose from the dropdowns below to see subscription options and pricing. How many people will need access? How many training modules do you want to have access to? I want to have access to 1 course. I want to have access to 2 courses. I want to have access to 3 courses. I want to have access to 4 courses. I want to have access to 5 courses. I want to have access to the entire library of courses. **15-day timer begins when each course is activated. To access your purchased eTrainings, click here. 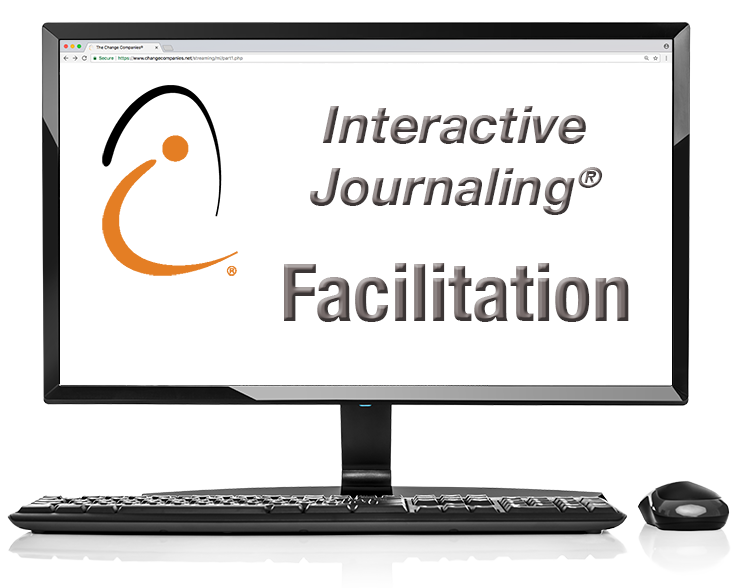 Introduction to Interactive Journaling® Facilitation provides a comprehensive foundation for implementing the evidence-based practice of Interactive Journaling® with fidelity. This eTraining module can help you confidently deliver Interactive Journaling® curricula with groups and individuals. This module includes opportunities to apply what you learn and develop facilitation strategies for working with participants. People contemplating change often feel two ways about it. As helpers, our reflexive response to fix, correct or make change happen may not be the best choice. Motivational Interviewing (MI) offers people in the fields of health care, criminal justice, addiction treatment and behavioral health a different way of thinking about and communicating with people about change. The foundation of the practice of MI begins with the mindset and heartset of partnership, acceptance, compassion and evocation. This first, two-hour session is perfect for individuals wanting a general introduction to the spirit and practice of MI or for experts wanting a refresher in the spirit of this communication style. First impressions are powerful. Engaging is the process by which both the provider and the participant establish a helpful connection and a working alliance. 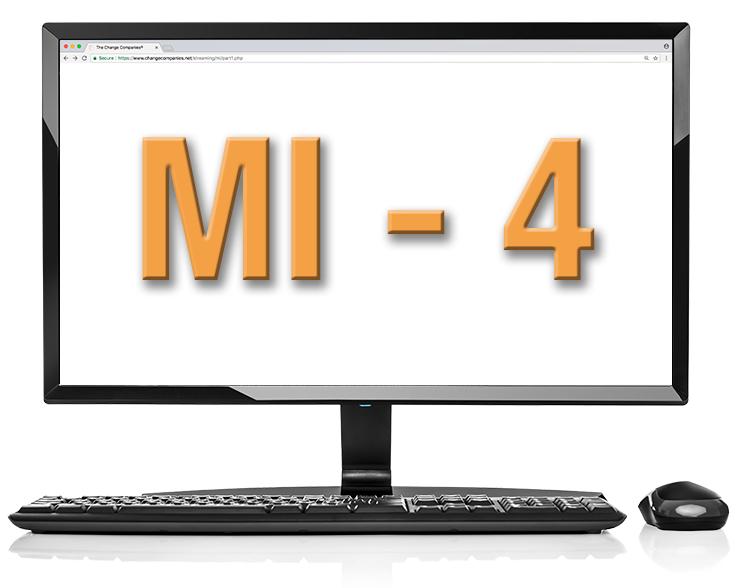 This module covers four of the key communication skills used throughout MI (open questions, affirming, reflecting and summarizing). The process of engaging leads to a focus on a particular agenda: What the participant came to talk about. Focusing is the process by which you develop and maintain a specific direction in the conversation about change. This module covers the communication skill of providing information and advice with permission. Personal change requires the individual’s active participation in the change process. Evoking is the process of eliciting the person’s own motivations for change by having the participant voice the arguments for change. This module covers the process of harnessing the participant’s own ideas and feelings about why and how they might make a change. When a participant’s motivation reaches a threshold of readiness, they begin thinking and talking more about when and how to change and less about whether and why. This module provides cues to watch for and a way of testing the water to see whether it’s time to proceed to the next step that the participant finds acceptable. This module provides a guide on how to have a conversation about a concrete plan of action. 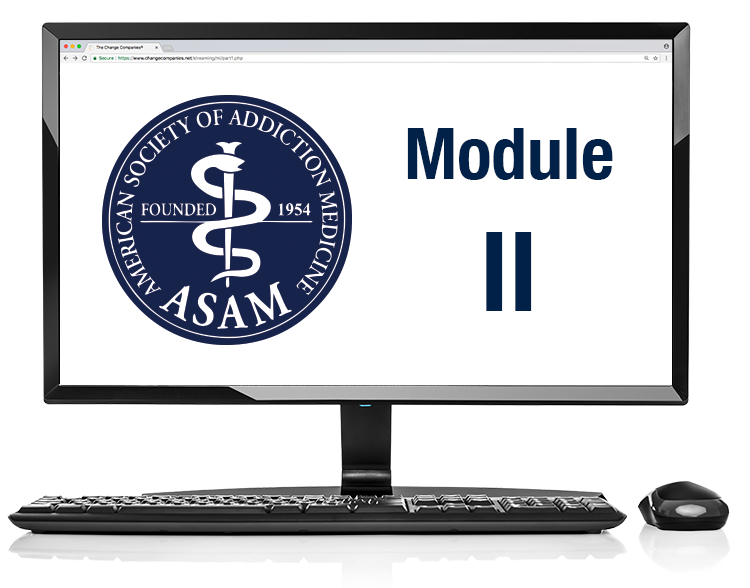 This effective and accessible solution for training will help practitioners understand, assess and implement the six dimensions of the American Society of Addiction Medicine's The ASAM Criteria. Each section is devoted to a certain component of The ASAM Criteria, and information is reinforced through knowledge checks and a final exam that learners must pass in order to receive credit. Skills that reinforce the module's learning objectives are practiced and applied through interactive case studies and followed up with review from Chief Editor of The ASAM Criteria, Dr. David Mee-Lee. This course helps practitioners understand how to work with a participant's assessment and service planning to identify the best level of care in which to provide his or her services. Skills that reinforce the module's learning objectives are practiced and applied through interactive case studies and Dr. Mee-Lee provides real-world application and description via brief video clips throughout the module. This effective and accessible solution for training will serve as a quick orientation and reference guide for the new edition of the American Society of Addiction Medicine's criteria for patient assessment, service planning and level of care placement. The ASAM Criteria (2013), now in its Third Edition, introduces new context and content key to the field of addiction treatment. Gain a better understanding of ways to facilitate clients by applying the processes from the Transtheoretical Model of Behavior Change. Help your clients strengthen their own self-efficacy and learn tips for progressing through the challenges of life change. Individuals who enter into the justice system often develop patterns of thinking that continually get them into trouble. 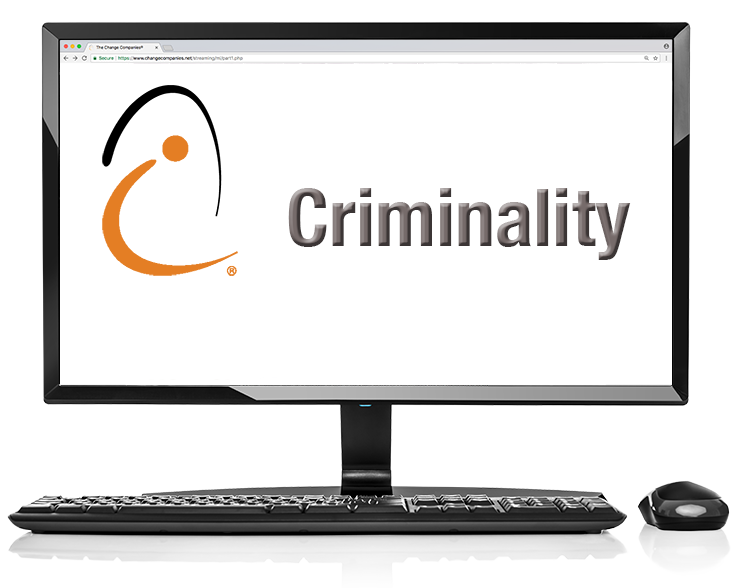 Learn about Eight Common Criminal Thinking Errors along with Eight Positive Attitudes and Values to help better prepare your clients for real-world applications of these strategies. Through the work of Beck, Ellis and Maultsby, this course dives into the ABC model in detail as well as Three Goals of Rational Thinking. In addition to understanding the differences between rational and irrational thinking, you will also learn about thought patterns in the form of attitudes, values and self-talk. This live, five-part series filmed in Los Angeles, is designed to increase skills to engage clients as active participants in developing a service plan that makes sense to them. 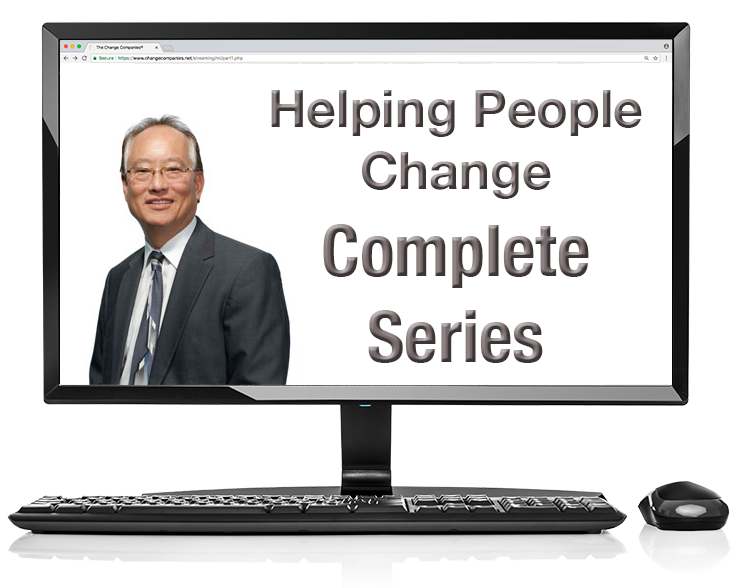 Featuring Dr. David Mee-Lee, these eLearning modules focus on specific topic areas, such as how to encourage honesty and accountability, how to forge a strong therapeutic alliance and how to implement the basics of Motivational Interviewing and assessment within the Stages of Change. Sample clinical situations and case studies also help reinforce content application. This eLearning module is ideal for a range of service providers, including mental health, alcohol and drug treatment and co-occurring disorder clinicians and treatment staff, as well as criminal justice programming. 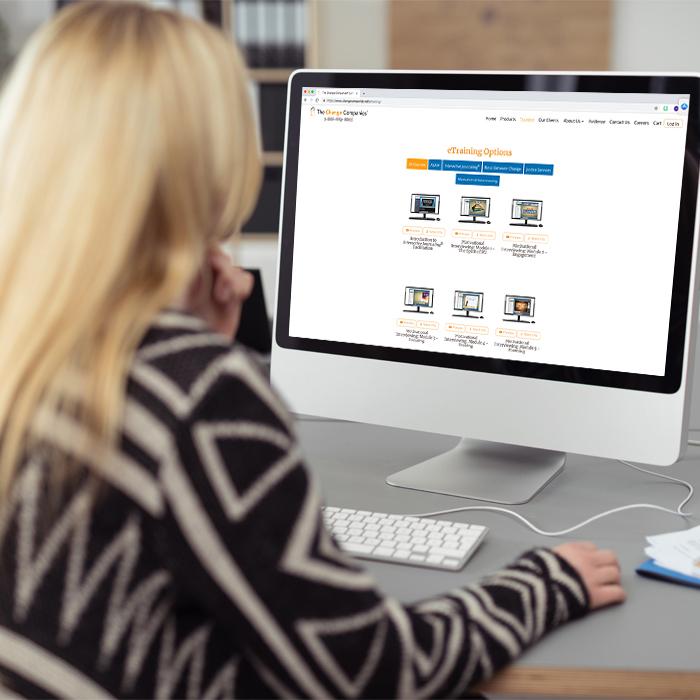 Each of the five eLearning modules will cover a specific topic area in relation to creating and implementing collaborative service plans. Participants will receive .5 Continuing Education Hours (CEHs) for completing each module, or 3 CEHs for completing the entire series. Need a custom eTraining module? We can build customized products to fit any audience.